The property improvements are something that has to be undertaken with great attention. Many of us don’t have the abilities and knowledge to do this. When it comes to painting and decorating services in Hammersmith and Fulham you can always trust us. We will give the easiest and effective way to paint or decorate a room or the whole property. With our reasonable prices you will get the ideal service for your money. All types of paintings and decorating will be applied to fulfill your needs and even exceed your expectations. Real Painters is proud of every service that provides and this includes painting and decorating, as well. In our practice we are working by using strong materials and professional equipment made from the best brands in the field. 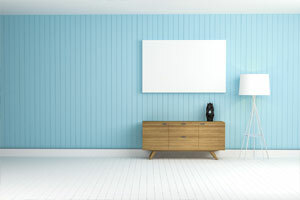 Your house, flat, business facility or whatever will be painted from top to bottom, with the help of the trusted expert we arrange in Hammersmith and Fulham. While most of the painting and decorating service providers in Hammersmith and Fulham are looking for quick service with their next job I mind, we have more attentive approach. Our experts will plan and provide the entire work. We can complete every work by our high-standards and fully cover your personal requirements. The painters and decorators here are of foremost quality and always ready to take care for your needs. Call Real Painters and be 100% confident that you will get the best painting and decorating service possible. Working Monday to Friday you can talk with our phone assistance in Hammersmith and Fulham about your requirements, ask questions and make a booking on 020 3026 9530.